Gas Card Sweepstakes ends soon! Our gas card sweepstakes ends Friday!! Hurry and enter to win – see the details below. Like Auto Expert? Join our Facebook page and you can enter to win a full tank of gas*! It’s simple, all of our fans will be entered into a sweepstakes to win gas on Auto Expert! All you have to do is Like us at www.facebook.com/autoexpertsocal. But, wait there’s more…there are two more ways to earn more chances to win! Watch our new video and take a short survey. Only persons residing in Southern California counties of Riverside, San Bernardino, Los Angeles San Diego, and Imperial and who are at least 18 years of age can enter. *Full tank of gas, for this sweepstakes, is valued at $40. The winner will receive 2 $20 gas cards, value of $40. **Your friends will need to complete the video review survey and become a fan of Auto Expert in order to count as a chance to win. 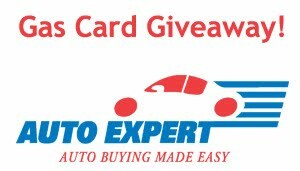 The Auto Expert Gas Card Giveaway is open only to legal residents of California residing in the counties of Riverside, San Bernardino, San Diego, Imperial and Los Angeles. Entrants must be 18 years of age or older with a valid driver’s license at the time of Promotion registration. The winner will be randomly selected. All current fans prior to this sweepstakes start date and new fans that join within this sweepstakes timeline, except Auto Expert employees, will be count as an entry. Secondly, an entrant can earn more chances to win by completing the video review survey. Thirdly, an entrant can earn another chance to win by inviting their facebook friends to become friends of Auto Expert, however this entry will only count if their friend becomes a fan and completes the video review survey. Entries not available to Auto Expert employees. Auto Expert reserves all rights to cancel the contest do to improper abuses by entrants. Please email sdeleon@autoexpertonline.com for any questions or comments. Auto Expert may use your email address to send you updates and announcements for our company. Email address are kept for Auto Expert use only and will not be sold to any other parties, companies or vendors. You may opt out of our emails anytime.